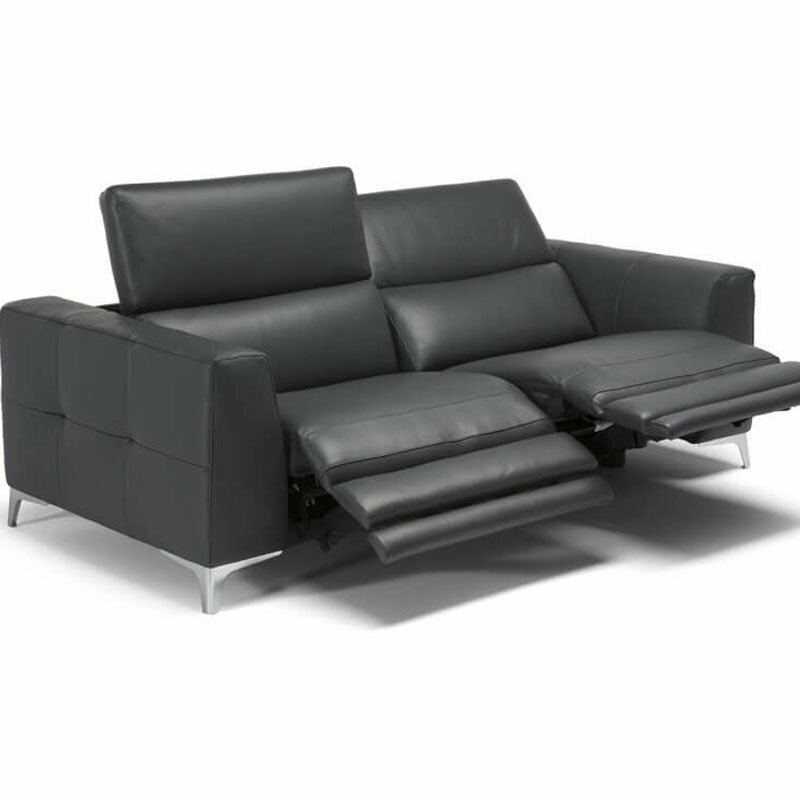 Dimension: Available as a chair, loveseat, sofa, and sectional. A square, contemporary design conceals exceptional comfort, which can be customized with the latest-generation recliner functions. An emblem of customized relaxation. Side seams, in a matching or contrasting color, define the sofa’s silhouette, accentuating its visual softness. The adjustable headrest is available on each seat and the integrated lower backrests provide perfect support for the lumbar region. Available in a vast array of fabrics and leathers.